Savvy Spending: Sam's Club: Join for $45 and get $45 back! 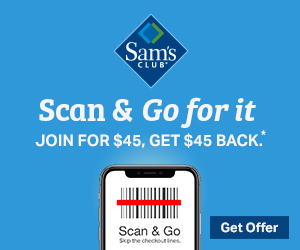 Sam's Club: Join for $45 and get $45 back! Enter your email to receive $45 off your first purchase when you get a Sam’s Club Membership for $45!